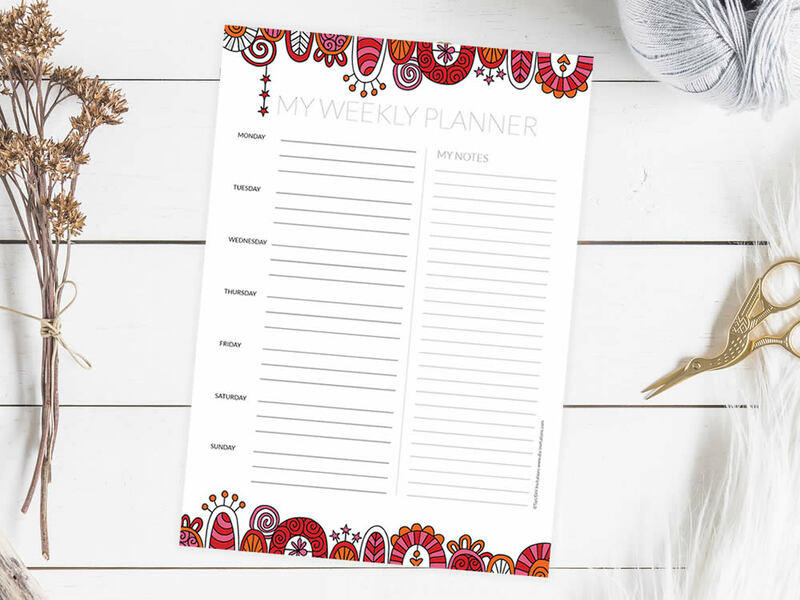 ❤ A bright and happy blank weekly and monthly planner page to help you get organised. 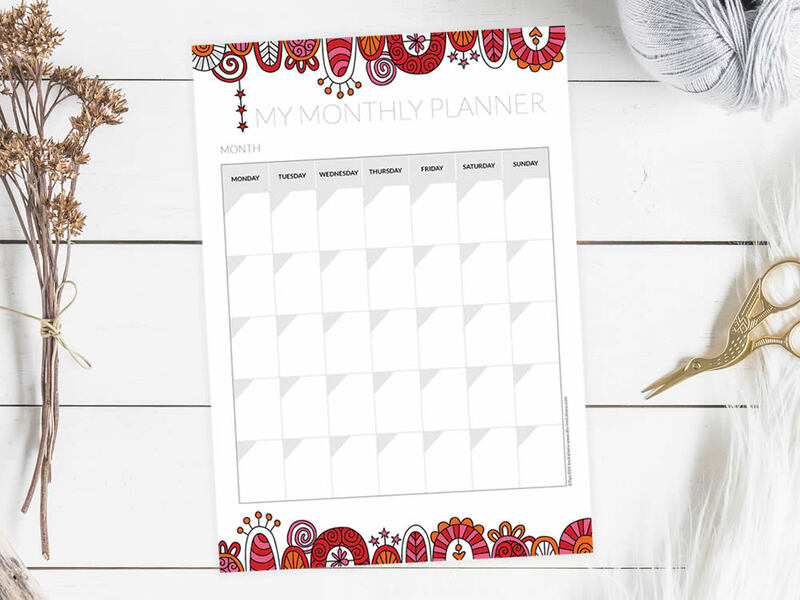 Download and print as many as you need, fill in your dates and start planning your days! These files are high quality full colour, 300dpi CMYK PDF file 297mm x 210mm (A4) with large copyright text removed. 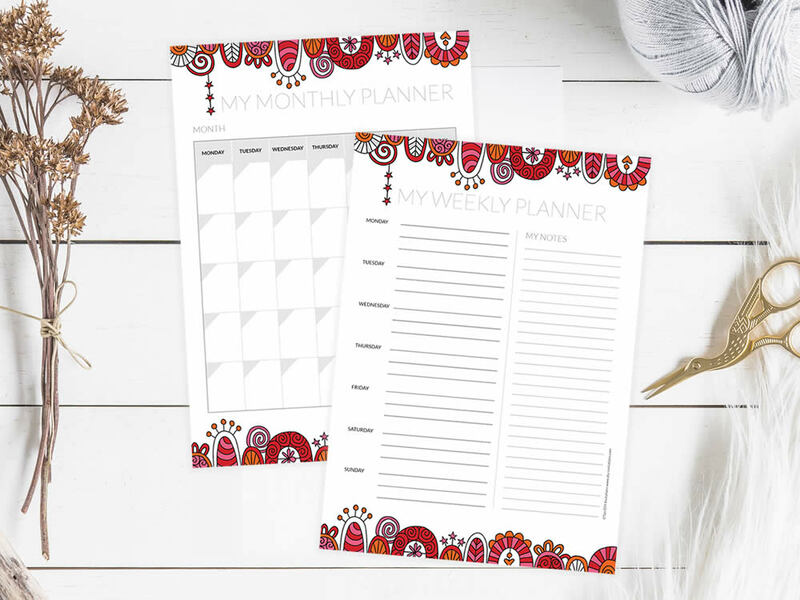 Suitable to print out on your own printer or you can take it to your local print shop (like Officeworks).